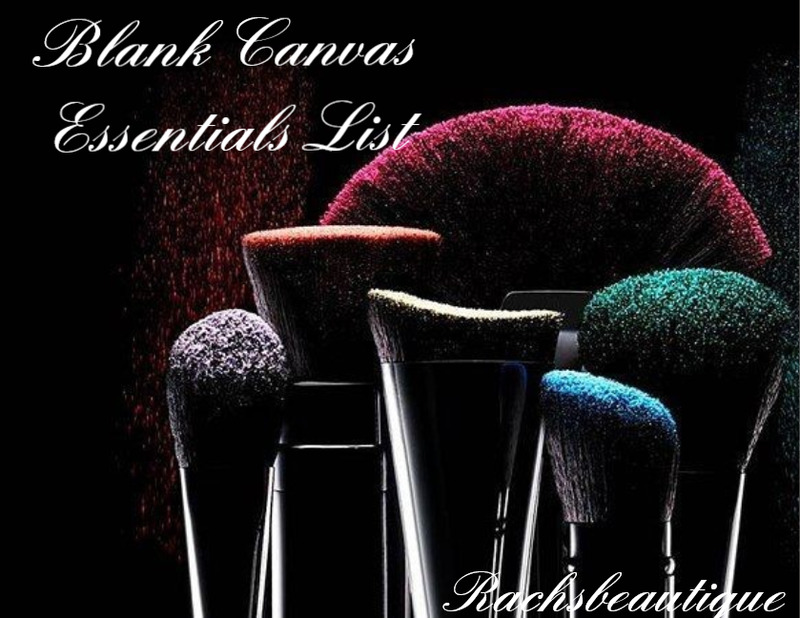 For this post I have compiled a list and review of all my favourite Blank Canvas Brushes. The complete list of brushes is as follows : F34, F08, F12, F31, F23, F20, F01, F41, E01, E24, E28, E27. Let's start with the face range. 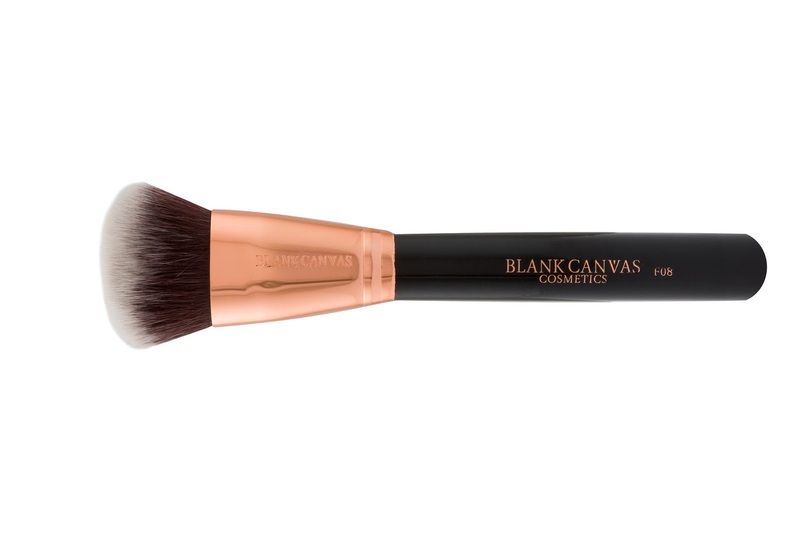 The Blank Canvas Flat Top Buffer Brush F20 is made of short, dense synthetic fibres making it the perfect tool for liquid, cream or powder products. I love the design of this brush and its available in a number of colours. For best results stipple or buff your foundation onto your face with this super soft brush and notice the difference after just one application. I like to use it to apply my primer and then my foundation. It gives a flawless HD finish to my foundation. The Blank Canvas F08 Dome Buffing Brush gives you maximum control when blending. This brush is again made with densely-packed synthetic fibres. It allows you to buff product into the skin flawlessly. The F08 is works easy with all formulas, whether cream, liquid or powder. It's perfect for applying foundation, primer, blusher, contour. The Blank Canvas F41 Tapered Cheek Brush is a tapered brush that's perfect for applying blushers, contour, baking powders.This brush can be used with cream or powder makeup. The brush is made from soft, anti-bacterial synthetic fibres. It is excellent for applying blusher and for blending out contour and baking undereye area as it is dense but soft and tapered. 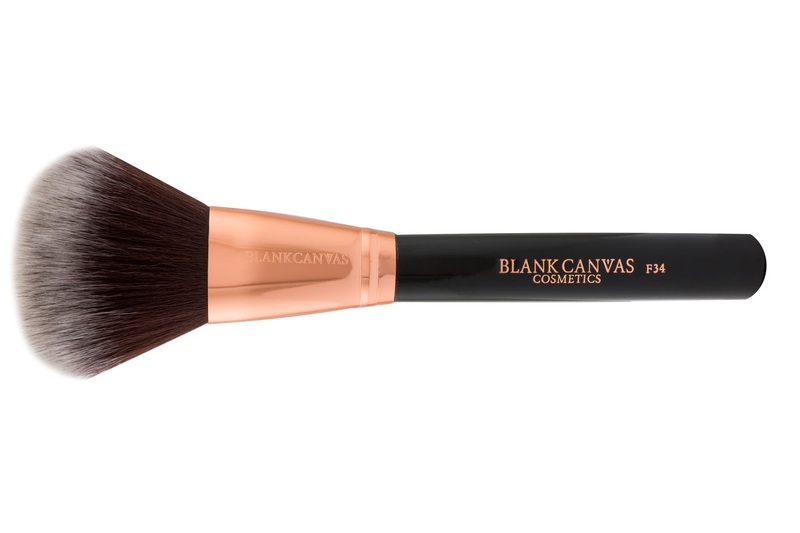 The Blank Canvas Dimension Series F31 Targeted Contour Brush is perfect for sculpting, shaping and creating structure. Use contour products to shade hollows of the cheeks, jawline and temples, or to highlight cheekbones and brow bones. Buff product into your skin then blend out with light stippling movements. The F31 is made from densely-packed, super-soft synthetic fibres. I adore this brush for contour. 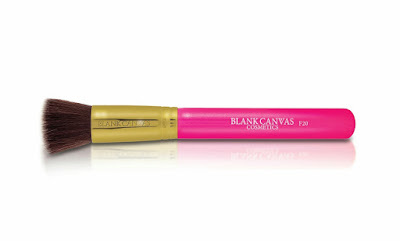 It gives a really strong contour and it is easily blended out in a stippling movement. The Blank Canvas Pointed Face Tip Brush F23 is ideal for applying liquid foundation and concealer. Its angled top makes it easy to move around the contours of your face and ideal for applying under eye concealer. Give your skin the flawless HD look by applying product using a buffing motion. It gives a fantastic finish to the skin and this was the first Blank Canvas Brush i owned. My holy grail brush, the perfect brush for applying foundation, bronzer, setting powders or mineral foundation. It can be used with liquid or powder products and gives a great finish every time . The brush is made from soft, anti-bacterial, synthetic fibres. Buff products first into the skin and then blend with a light, stippling motion for a flawless finish. I love the finish that this brush gives to the skin and it is so quick and easy to apply foundation due to its large size. 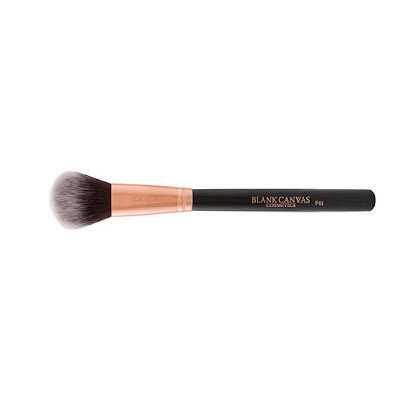 The Blank Canvas F34 Large Powder Brush is a large, soft, fluffy brush with a gently rounded top perfect for sweeping powder across the face.Use the F34 to apply setting powder to fix foundation or to dust bronzer across your face for a sunkissed glow. Excellent for applying powder to set face and gives a lovely finish. The Blank Canvas Dimension Series F12 Angled Flat Eye Brush is a super-soft brush that lets you apply and blend cream and powder eyeshadow beautifully. You can also use it to apply concealer - it works really well to stipple concealer on the under eye area. The flat, anged edge can even be used to apply contour makeup onto the bridge of the nose to give dimension. Excellent all rounder brush. The Blank Canvas Dimension Series E01 Round Eye Blending Brush is ideal for blending eyeshadow around the crease of the eyelid, and works with both cream and powder products. It is one of the best selling brushes and always out of stock. You can also use it to blend and buff concealer into the skin. This E01 brush is made from super-soft, easy to clean synthetic fibres which is why it blends so well. I love this brush. 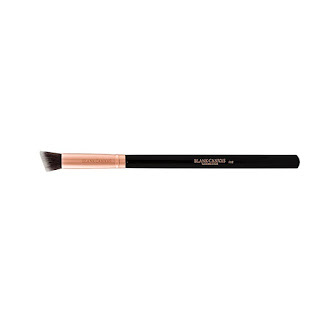 This brush is primarily for placement and laying down of eye shadow and cream on the face. Its fluffy rounded tip is perfect for placing and shading product whilst its medium firm paddle allows you to pick up product perfectly. Fabulous for applying shadow all over the lid. 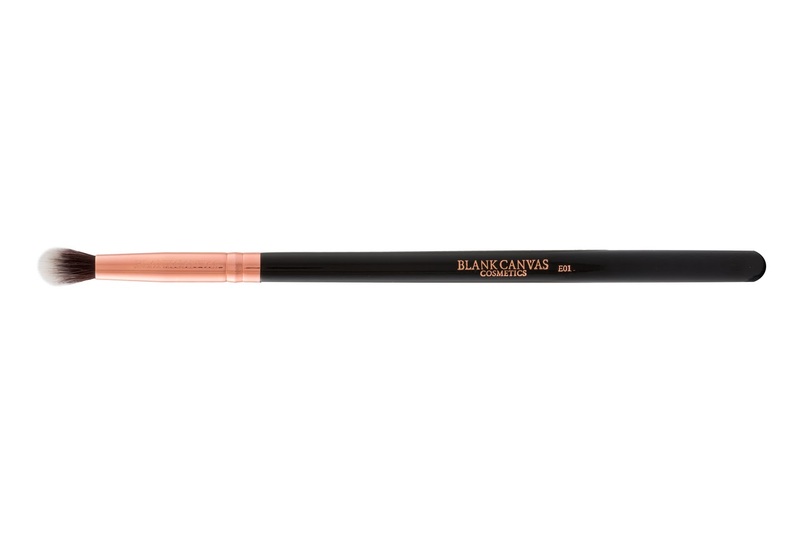 The Blank Canvas Pointed Tip Eyeliner E28 is a professional fine liner brush with an ultra fine tip ideal for the precise application of eyeliner. 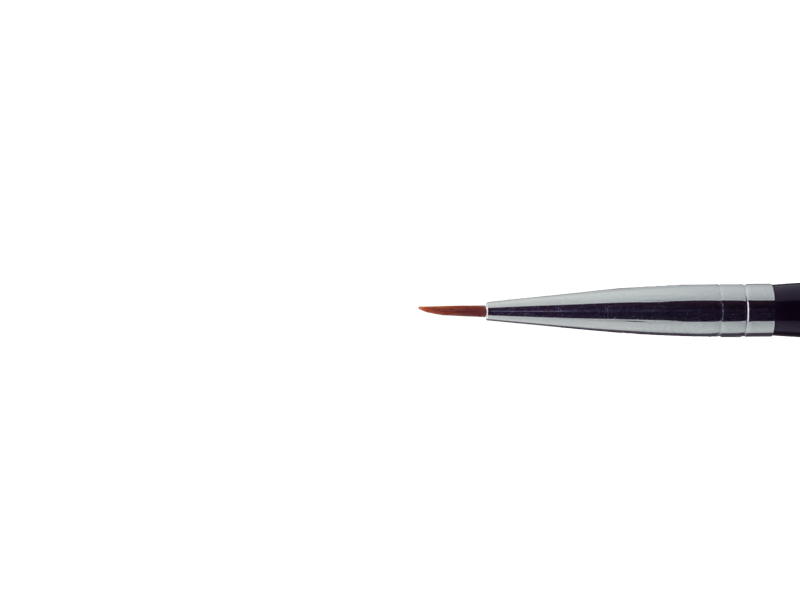 Whether you are looking to achieve a subtle line or a feline flick the E28 with its finely pointed tip makes it perfect for precise application of cream, gel or liquid liner. I love this for application of gel or liquid liner. I adore this brush. 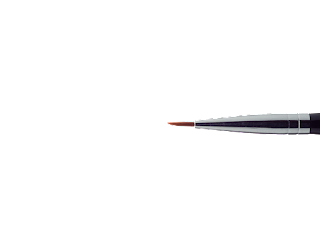 The Blank Canvas E27 has a fluffy tip which allows you to blend with precision. 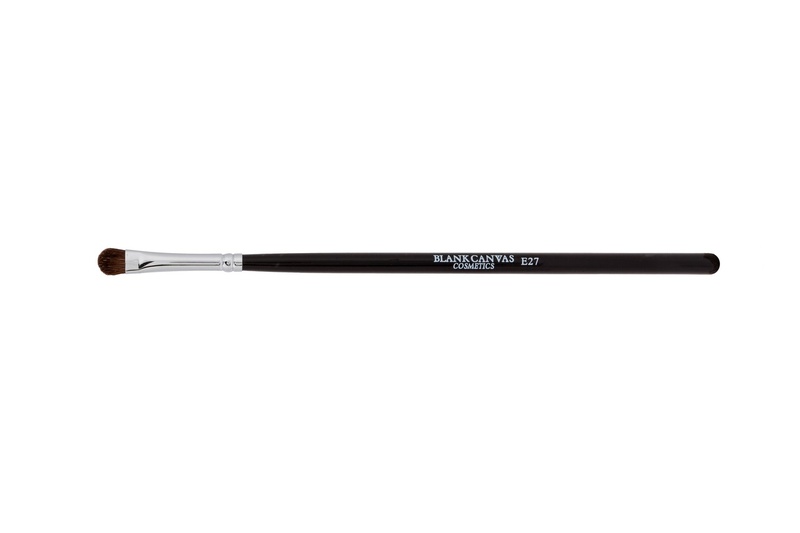 Made from soft high grade natural hair, the E27 is great to work with when you need to shade precisely. 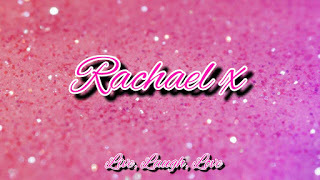 I particularly love it for apply glitter to the lids. 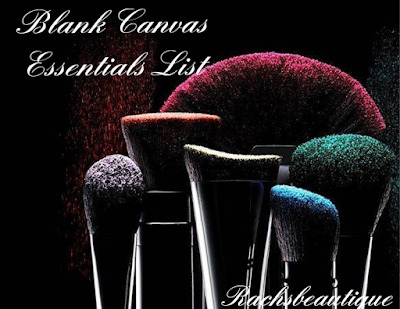 All of the above brushes are available from http://www.blankcanvascosmetics.com or Cloud 10 or Meaghers who currently have 20% off online. I love this brush brand and the fact that it is Irish makes it even better. The Irish Beauty show is on in March and Blank Canvas will be exhibiting, no better excuse to pick up some newbies.